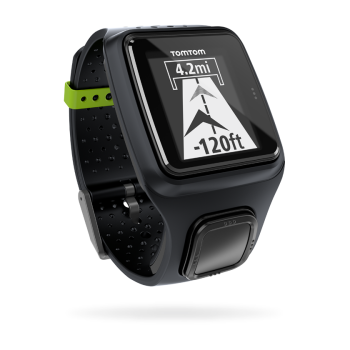 Runner Cardio: All new TomTom Runner Cardio has a built-in Heart Rate Monitor so you get more out of every run. This is built in to the watch and tracks the blood flow in your wrist. This is done by shining light through the skin and detecting the changing light reflections.